Jalan Panggung Shophouses. Private collection, by the authors. Surabaya, the second – largest city of Indonesia possessed great historical treasures of Islamic period, colonial period and the Indonesian Independence period. 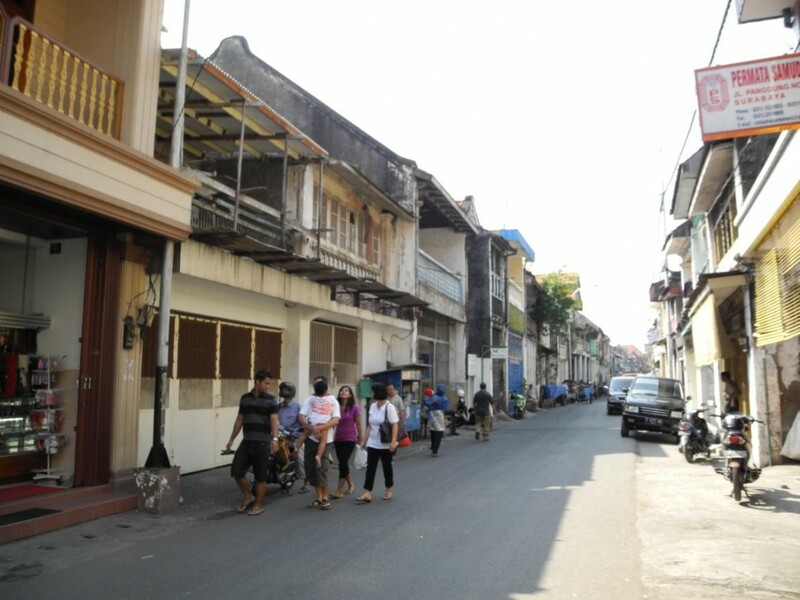 Jalan Panggung, as one of heritage areas gazetted in Surabaya Municipal Spatial Plan of 2010-2030, was potentially developed as tourism and commercial areas. The architectural of Jalan Panggung’s shop-houses was found charming by the foreign tourists. Furthermore, the existing shop-houses were still utilised for retails and services etc. And lastly, the area were surrounded several historical landmarks and buildings such as: Red Bridge (Jembatan Merah), Arabic Quarter (Kampung Ampel), Chinatown (Kembang Jepun), Internationale Credit en Handelvereeneging Rotterdam, PT. Asuransi Jiwa Sraya Building (Fa Frozer Eaton & Co), PTP XXI & XII Building (Koloniale Bank), etc. Therefore, the area was found as promising to be revitalised. In the Surabaya Vision Plan 2025, the area was designated as Conservation Area and Art District. The research was conducted to measure the SWOT of the areas to support the idea. Further, architectural design and artistic collaboration were suggested to conserve the areas while allowing some creative uses and generating local economy. The Sustainable Architectural Design strategy was prepared local community of Jalan Panggung, in collaboration with Surabaya Municipality, Private Sectors and other stakeholders to develop this concept in the sustainable manner. The miss-design could be mitigated if Participative and Creative Redevelopment (Design) approach was adopted by the Developer and Surabaya Municipality.